The Francis Crick Institute brings together scientists from many disciplines and is dedicated to help improve people’s lives by understanding why disease develops and to find new ways to treat, diagnose and prevent illnesses such as cancer, heart disease, stroke, infections, and neurodegenerative diseases. Chocolate Films worked with the Francis Crick Institute to document a community learning project. Construction in the King’s Cross area begun in July 2011, so the project aimed to connect the residents of the local area and inform them about the institute in a fun and engaging way, as well as to celebrate the building, which now houses over 1, 500 scientists from across the world. Chocolate Films regularly documents artistic projects. 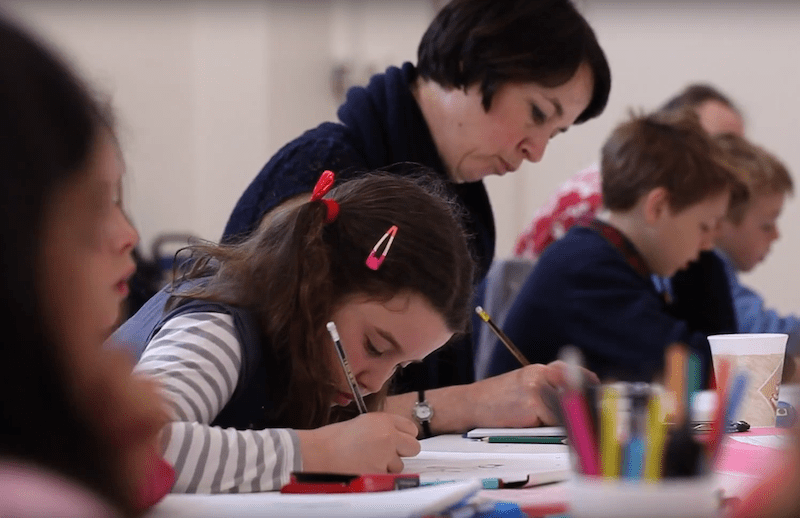 In Science and Story, Chocolate Films filmed three illustrators working with community groups in the Camden borough to create graphic novels about DNA, the design and architecture of the new Francis Crick Institute building and the future of biomedical research.